The plant she is referring to is a copper smelter of Sterlite Copper, a unit of Vedanta, one of the world’s largest mining and metals conglomerate. Set up in 1996, it lies at the edge of Tuticorin town and has the capacity to produce 4,38,000 tonnes of copper anodes per annum, or 1,200 tonnes a day. 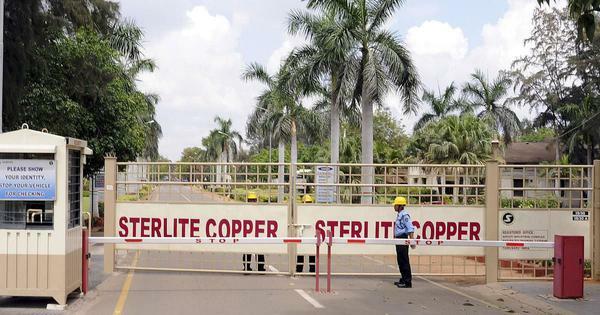 Sterlite plans to expand it into the world’s largest smelter in a densely populated area. Over 4.6 lakh people live in eight census towns and 27 villages within a 10-km radius of the plant, according to the project’s Environment Impact Assessment report of 2015. In January this year, when they heard Sterlite was planning to double the smelter’s capacity by setting up another plant, fears around their health and safety grew stronger and they launched an agitation. It is centred around Kumarredyapuram village, which lies off a dusty road a short drive from the plant. For about two months, the villagers and activists supporting them have been gathering in the shade of a neem tree, holding large banners calling for the government to shut down the plant. On February 12, they took their demonstration to Tuticorin. There, it grew into a massive protest as around two lakh people, according to the activists, turned out in their support on March 24. Since then, several celebrities, mediapersons and politicians have visited Kumarredyapuram in a show of support. In the town, Pasupathi suspects her mother, who died of cancer last year, may have fallen victim to the smelter. Sterlite officials have often claimed that there is no evidence to link the factory to illnesses among the people living around it. But Nityanand Jayaraman of the environmental non-profit Chennai Solidarity Group has disputed this assertion, writing that a study by the Tirunelveli Medical College in 2008 had proved otherwise but it was deliberately kept under wraps. The study, which covered 80,725 people residing within a 5-km radius of the smelter, found 13.9% of the population suffering from respiratory diseases. “The attributable cause is...the presence of gases, mixture of gases and particulate matter,” the study found. A large number of women reported menstrual disorders but the researchers stated that an “in-depth study” was required to identify the cause for this. Scroll.in emailed questions about the 2008 study and its findings to Sterlite, but they went unanswered. Fatima Babu, an environmental activist who has been campaigning against the Sterlite factory for 20 years, called it “a gross violator of all laws” since the inception. The Water Act of 1974, for example, mandates that hazardous industry should be located at least 25 kilometres away from any eco-sensitive area, but Sterlite’s plant is within 14 kilometres of the marine national park of the Gulf of Mannar. Another violation, she said, is that the plant does not have a greenbelt of 25 metres around it, as required by its licence from the Tamil Nadu Pollution Control Board. 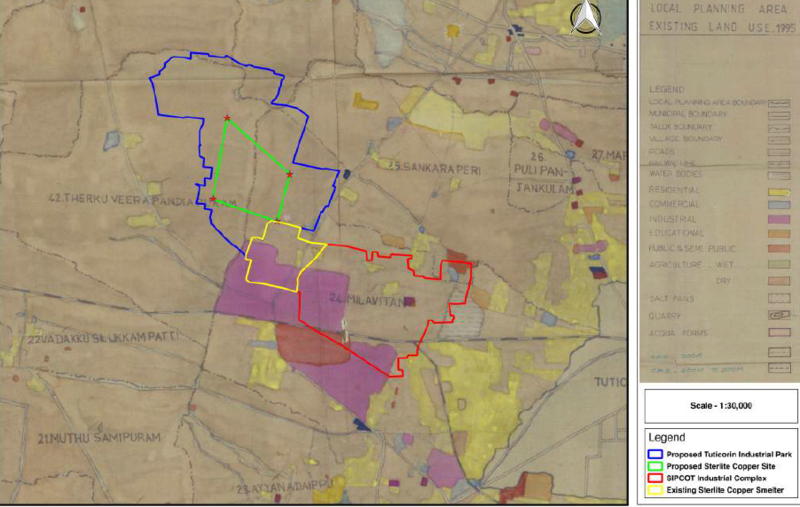 In its 2013 application for an environmental clearance, however, the company claimed that it had cultivated a greenbelt around its upcoming plant. Scroll.in could not independently verify this claim. Questions sent to the company regarding this are awaiting a response. Since 1998, Babu said, the factory has been shut several times for violating pollution norms, only to be allowed to reopen in a few days. “It was the fact that they kept getting away with impunity that angered many of us,” she said. The 2008 study, for instance, found that iron content in the water sources of two villages near the plant was up to 20 times more than is prescribed by the Bureau of Indian Standards. In 2012 and 2013, there were several instances of the factory releasing excessive amounts of sulphur dioxide. Residents of Tuticorin particularly remember a gas leak in March 2013 after which many townspeople complained of eye irritation, suffocation and even miscarriage. In response, the Tamil Nadu Pollution Control Board ordered the plant shut for two and a half months and launched an investigation. But in July 2013, the National Green Tribunal allowed the factory to reopen. Yet, Sterlite has insisted that its operations in Tuticorin have little impact on the environment. In its Environment Impact Assessment report for the upcoming plant too, the company said “no waste water will be discharged outside the plant due to complete recycling into the plant operations. Hence, there is no impact on the water regime due to the wastewaters generated from the plant complex.” Its emissions too would conform to the National Ambient Air Quality Standards. The company said it would spend over a fifth of the plant’s total cost – Rs 585 crore – on environmental protection. 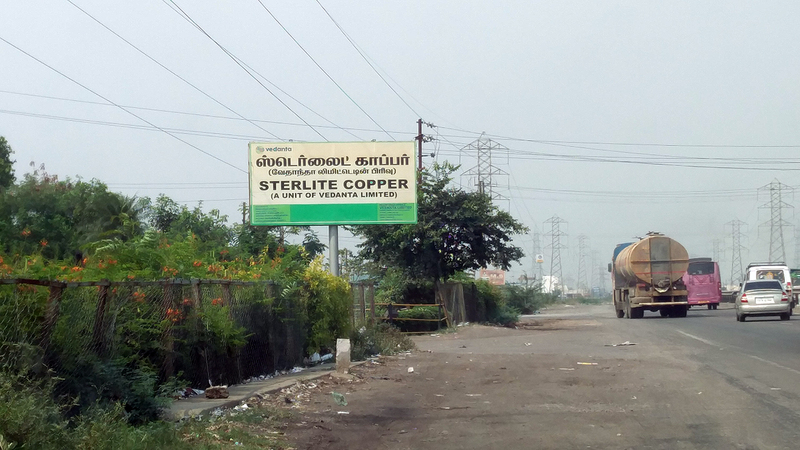 Since it was notified to be built in 1993, people in and around Tuticorin have been fiercely opposed to the Sterlite factory’s development and expansion. 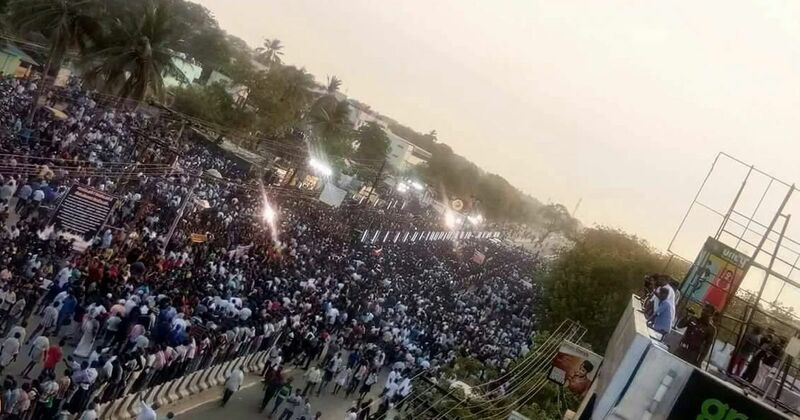 Occasionally, over the years, protests would erupt, said Rajkumar, a 24-year-old ward boy at a Tuticorin health centre, “but each time they would fizzle out either because of police crackdown or because political parties supporting us would suddenly turn on us”. Most recently on February 10 this year, Kumarredyapuram’s villagers approached the district collector to act against the company, but to no avail. Activists, in fact, have accused the district administration of being complicit in the company’s violations. It upcoming plant, they pointed out by way of example, is being built on “dry agriculture” land according to the Tuticorin Masterplan in violation of the law. Asked about this, M Veerappan, the district revenue officer, said he was not authorised to comment on the matter. Still, the protestors are determined not to give up. As Rajkumar pointed out, they do not have much of a choice. “The educated among us need to be present to clearly explain the struggles we face everyday because of this plant,” he said. This is the second part of a series on Vedanta Limited’s copper smelter project in Tuticorin. The first part can be read here.